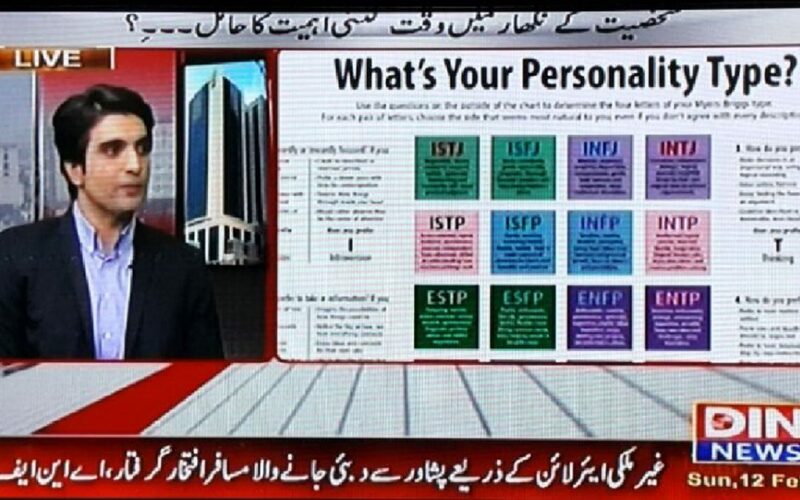 Manzar Bashir was invited on a live show Din News Channel Lahore, Pakistan to talk about MBTI as a Career Assessment tool. Raised awareness about psychological assessments for professionals and children in making informed career decisions. Clarified some very basic misconceptions about MBTI and other tools. 100% of top American colleges on the US News and World Report use the MBTI tool. People in Pakistan have low awareness about utility of such tools and their efficacy in career and work settings.